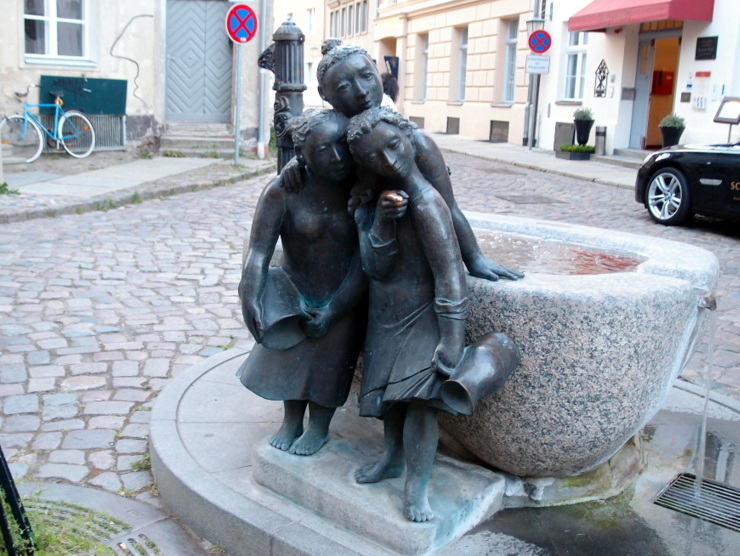 In German online directories, the artwork is often run as the Mägdebrunnen (The Maidservants Fountain), the people of Stralsund love to call the group Die Geschwätzigen Weiber (The Garrulous Women). On the website of the artist the work is listed under the name 3-Mädchenbrunnen (Three Girls Fountain). This entry was posted in Fountains, Sculptures and tagged Germany, Mecklenburg-Vorpommern, Stralsund by Travelwriticus. Bookmark the permalink.